Emmen is one of the safest and greenest regions in the Netherlands, loved by our residents and enjoyed by students and expats. There’s a massive amount to do in Emmen for students and expats! You could spend the day at the WILDLANDS Adventure Zoo, go shopping, or see a movie. We also have a monthly international meetup in Emmen! The meetup exists to get together people of different nationalities and backgrounds, promoting good vibes for newcomers or expats living int the country since long. It's a meet up for focusing on the international side of Emmen. If you’re wondering what to do in Emmen, scroll down for a short overview. If you need any specific information that you can’t find on this page, let us know at info@emmenmaakhetmee.nl. We will be in touch. International Meetup Emmen aims to help internationals, with the culture and lifestyle of Netherlands. On the last Thursday of each month we would be talking about a special subject that would help us live and work better in Netherlands. All students, newcomers, expats, startups and businesses are welcome to sign u and join this monthly event to know more about living and working in Netherlands as an international. The Uitagenda has a full calendar of all the events that are held in Emmen. All of the biggest artists in the Netherlands have and do play at the ATLAS Theater on the Raadhuisplein. If you want to catch a movie, you can go to the Kinepolis, too. How about joining a sport club? Or just going to the gym? See this link for more information about all the athletic and sports facilities. You can also get the HBO Sportpas (see here) for just € 90,- per year; it gives you access to a whole range of activities, as well as discounts and events for members. Emmen has great night life with loads of places to go out, have a drink, and dance until the early hours. The centre of Emmen is where the party is, with venues such as Lïmbo Club, Café De Zwetser, Grand Café Karakter, Eetcafé Groothuis or De Brasserie. For arts and culture, the Rensenpark area has you covered. If you’d like to discover more about the Rensenpark, take a look at Tourist Info Emmen for more information about the area and Emmen’s histories. Why I am so happy to be from Emmen! 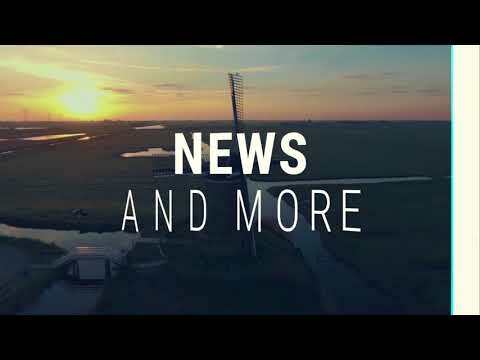 NorthernTimes.nl is an English-language news site for internationals and anyone interested in news and activities in the three northern Dutch provinces of Groningen, Friesland and Drenthe. The website provides daily coverage and summaries of local news in the north, as well as human interest stories, backgrounds and a regional events calendar. The Northern Times is an initiative of the International Welcome Center North. Growing Emmen is a network of entrepreneurial people. Located at a top location in Emmen Center. Jimmy’s is a vibrant youth organisation, where you can go both in person and online with all of your questions and queries. The coaches from 2GetThere are also at your service free of charge, if you need them. If you’re curious about how students live and study at NHL Stenden, have a look at the videos from Marije, Stine & Olesja and Tasha. BENG is dé studievereniging voor studenten van de School of Business aan de NHL Stenden Hogeschool in Emmen. Word lid voor maar €1,- per jaar! Dionysus is dé studentenvereniging van Emmen. Het doel is om studenten een leuke studententijd te bezorgen.